My ISP provided hosting and I have a place for my site, which includes a public_html directory where I installed WB 2.8. This operates normally and I can open it up and it displays the home page. I wanted to upgrade and they provided a separate directory, testing, to put it in. I downloaded the 2.11 installation package (WebsiteBaker-2_11_0_r79_incl_Fix.tar.gz) and installed it. However, I didn't get to it right away, and now I want to go back and develop. define('WB_URL', 'https://testing.greenmaking.com'); // no trailing slash or backslash!! //define('ADMIN_URL', 'https://testing.greenmaking.com/admin/start'); // no trailing slash or backslash!! Why do you think it is going to the under-construction screen instead of the home page of my site? Hello, a "under construction" page after a fresh install means there are no pages created. In case of no pages WB can't show something, therefore WB provide a under construction message. I can't visit your https page because of invalid security certificate of your domain. So, what would be the normal way to add pages? I don't see any link to go to the Administrator or log in. did i understand correct: you have the version 2.8 on the server and 2.11.x on the same server in a subfolder? after this job, save this SQL-File with a new name, go into your database administration (maybe PHPmyAdmin) and import there this file into your database. then search the settings-table from vers 2.11, default name is wb_setings, activate this this table in the table overview and go down to the actions like DELETE or REPAIR and use there COPY TABLE. Use as new name now your new prefix. For example: if the prefix in 2.8 is like "wb_", use (maybe) "wb1_" as new prefix and the new table name ist "wb1_settings"
next step: change the used Table Prefix in the 2.11-config.php to the used Prefix from the backup. after that, you can start to copy the missing modules and the missing frontend template from vers 2.8 into vers 2.11. after that, as last step, go into the info-window of vers 2.11 and there to the link "Rebuild Access Files"
One Question: Why 2.11 and not the latest Version 2.12.1?? jacobi22, thank you for your detailed reply. Let me explain the context first. I have an HTTP site running that uses WB 2.8. I started some time ago to set up a new site in HTTPS. 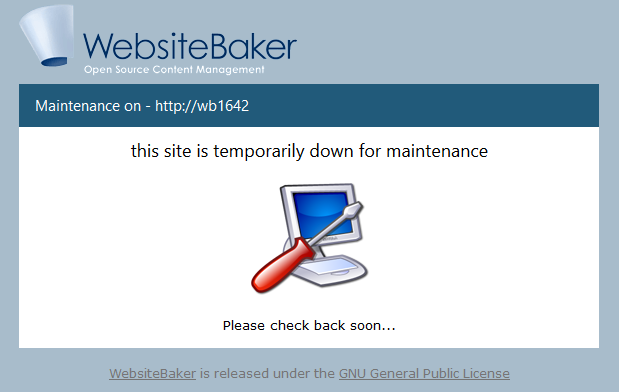 This site was set up with WB 2.10. While working on it, I wanted to have a new environment to do testing (partly so that I could get third-party help without risking my own site). My ISP gave me a second directory for this. I started by installing WB 2.11. I then copied over pages and other components from the first HTTPS site. I then had to work on another project (you know how it goes), and when I came back to the test site it was not loading correctly. I just want it to work, at this point. After that, I can upgrade to WB 2.12. In Chrome on the Mac I get part of the Home page (with the wrong formatting). On Windows I still get the under-construction page. But, this indicates that something about the magic constant __DIR__ isn't set correctly. I don't know where it is picking up the value for this, but really, it should be exactly the same because of the location of the config.php file. It also indicates that the settings for the database in the config.php file are correct, because it wouldn't find and try to display content for the Home page if it wasn't accessing the database. You said that the wb_settings table is important. I looked at this table in the new database (for the testing site, the one I'm getting based on the config.php file). I don't see any settings that directly apply, except that it still has the wb_version set to 2.10.0. Do you think the wb_settings table is different enough between 2.10 and 2.11 to cause this? If necessary, I can start the upgrade over and go to WB 2.12. But if I could repair the wb_settings table so that it works with 2.11, then I can get started immediately and delay upgrading until I get to where I need that. at first: my words was a "instruction" to make a copy of your old wb-project in a subfolder. you start this job before i send my words and use another way - so forget my words. After that, I can upgrade to WB 2.12. Only the latest version 2.12.1 give's the possibility to upgrade directly from vers 2.8.3 to the latest version 2.12.1 - these are only two steps - you understand? __DIR__ , the "magic constant" - give's the actual folder back - it's in use since PHP 5.3. What is the used PHP-Version there? Why do you think, there is a problem with this constant __DIR__? do you get a message, error report about this? and if YES, what is the exact message? For example: if your path is not the correct path to this config-file, it is possible, that the script go'es into a different folder and maybe into another system. please try to understand the possibilities and dont forget: a lot of files inside of the cms calls this config.php from different places. but.. if we say: okay, your new path is the correct path and give the same result, where is the difference between both paths and why is this the solution for you? my "how-to" was a instruction, to make a old WB 2.8 work in WB 2.11 or newer. thats not the official way and not recommended, if you not know, what you doing. you go'es a different way, start with a fresh install. it's not neccesary to change anything in the database with this way, but you have to add the whole content step by step now. Start here with the install of the missing modules (if needed). the wb-2.11-package (exactly all packages) has own module versions for the modules in my next picture. Dont overwrite this modules with a older version, maybe with a copy from the modules-folder of wb 2.8, it will not work! I agree the situation is less than ideal. I may just start with a fresh install of 2.12. Let me simplify things, though. You can ignore the original 2.8 website. I have a working site using 2.10 at https://id0129.vps.sonic.net (Production). I'm using that as the basis for https://testing.greenmaking.com (Testing). Also, I can install the security certificate, if necessary. I haven't done that because I don't want the public to start coming to the site until I have it working. To reach either site in Chrome, I click the buttons "Advanced", and then "Proceed to <site> (unsafe)". The steps in other browsers are different. I'm going to try to answer your questions in order. I don't necessarily understand all the responses, but I will do my best to overcome that. A. "Only the latest version 2.12.1 give's the possibility to upgrade directly from vers 2.8.3". Let's skip this. I have a working version on 2.10, so I can upgrade from that. In fact, I completely re-wrote the site and it doesn't work the same way, so I'm not going to upgrade from 2.8. B. "you make's not a upgrade, you start with a new version". I started with a clean install for https://testing.greenmaking.com. At the time, 2.11 was current, so I used it. I can put pages and other components into it fairly easy. The code for pages is stored in files on my desktop and backed up to GitHub. I can just open the WB administrator, create each page, and copy/paste the code into the page to reproduce the site. There are some other files, for example, PHP files that are used to respond to AJAX requests, but these can be copied into their appropriate folder. I haven't set up modules or addons. I just have a minor tweak to the login droplet to add a couple links. C. "What is the used PHP-Version there?" D. "Why do you think, there is a problem with this constant __DIR__?" When I go to the site (with Chrome) on the Mac I see part of the Home page. When I go to the site on Windows (with Chrome) I get the under-construction message. Before changing from "__DIR__" to "/nfs/webroot/testing" I didn't get any of the Home page. So, there is a difference in how this is processed. Since __DIR__ is used in the framework .php files, I suspect that it isn't getting the right value. I don't get an error message. But it doesn't find the files for the site properly. E. "the certificate is not active". The site at https://id0129.vps.sonic.net works. The site at https://testing.greenmaking.com doesn't. Neither has the certificate. So, I don't think the certificate is the issue. But it could be because I don't know what it implies. I think the cause is something else, because the problem seems to be that it isn't finding the files properly or possibly not loading things from the database properly. The fact that I can get a fraction of the Home page to display on the Mac indicates that it is finding the database properly. That means it is processing the config.php file in the testing directory. I put distinct text into the wb_mod_code.content field in the record for the Home page in the databases for Production and Testing sites, so when one loads I can tell which database it is using. I will need to check how the certificate works for domains with my ISP. But I don't think the certificate is the issue. The Production site works, the Test site doesn't, and neither has the certificate. F. "maybe a wrong WB_URL in config.php". The config.php I'm using is in the original post for this question, so you can see it. I think it is correct. I think I fixed the problem where it adds "login/index.php" to the URL for the admin. I commented out the define for ADMIN_URL in config.php. Do you recommend any changes? H. "use in your config.php the WB_URL without https". I tried this. I just get the "under construction" message, not the actual web pages. I think there is some part of the configuration that is not correct, but finding that may just take too much time. I'm inclined to just download WB 2.12 and start over on the Test site. However, if in reviewing this new information, you think of anything, please let me know. You have a lot more experience with WB versions, and I appreciate your advice! you have actually two different problem's. I have a working site using 2.10 at https://id0129.vps.sonic.net (Production). I'm using that as the basis for https://testing.greenmaking.com (Testing). Also, I can install the security certificate, if necessary. I haven't done that because I don't want the public to start coming to the site until I have it working. you dont have a installed certificate on testing.greenmaking .com and wondering about secure warnings? remove the s from https in the WB_URL on testing.greenmaker. com and the page will work without any secure warning. The site at https://id0129.vps.sonic.net works. The site at https://testing.greenmaking.com doesn't. Neither has the certificate. So, I don't think the certificate is the issue. the page works for me with the simple http - it's easyer for you and every helper here, if you set the page to https as your last step, after you finish with the content or after these problems here are solved. i test the frontend on testing.greenmarker .com with all my browsers and i get everywhere the Under-Construction-Message. I decided to do the WB 2.12 install. So, I'm archiving everything for the testing site. Tomorrow, I'll be downloading and installing the new version. I'll check back after that and let you know how it goes. I think all this information you provided will be very helpful going forward to maintain my site. 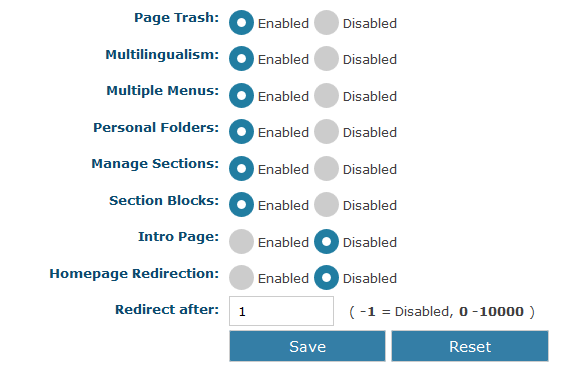 It is especially helpful to get information on the .htaccess file and how the settings work. You put a lot of time into your responses. I want to thank you for that. I am very deeply appreciative! I installed WB 2.12. I haven't made any changes to it, other than to run the install script and give it the database information. Can anyone say how WB looks for the framework directory? I'm going to leave this here temporarily, because all the context is in this thread, but I plan to set up a separate question in the 2.12 forum.